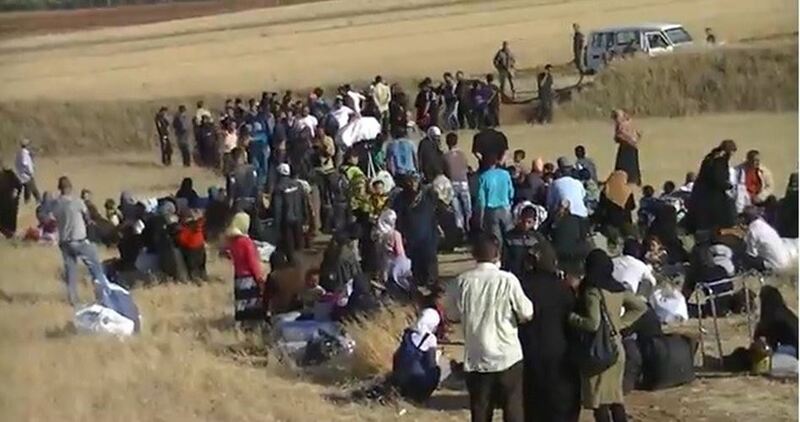 Dozens of Palestinian families displaced from Jilin, in southern Syria, have been enduring dire conditions due to the simmering hostilities between ISIS mobs and the opposition squads, a NGO reported Monday. According to a Monday report by the London-based Action Group for Palestinians of Syria (AGPS), Jilin residents have run out of much-needed food items and medicines due to the tough cordon enforced on the area. 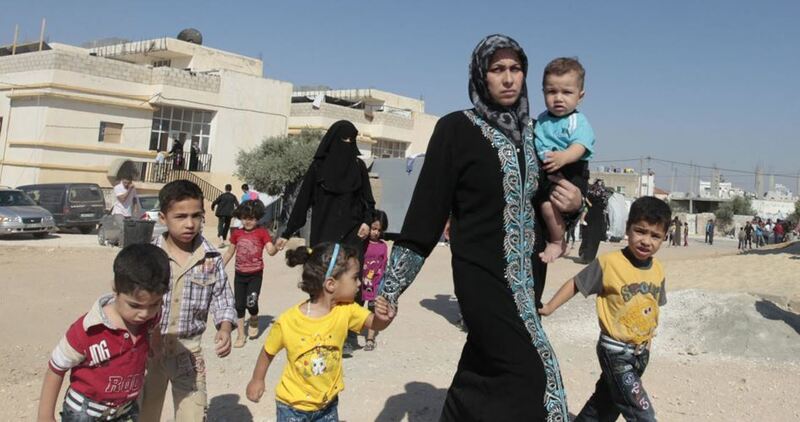 Last week, dozens of Palestinian and Syrian families sheltered in Yarmouk Basin, in Deraa’s western outskirts, fled the area for fear of being killed in the simmering hostilities between ISIS militias and the opposition outfits. Most of those displaced from the area have sought refuge in Yarmouk River while others headed to al-Muzeireeb, Zizoun, and Amouriya after they fled ISIS-led zones. Located 25 kilometers away from northwestern Deraa city center, Jilin is home to 500 families, mostly displaced from Palestinian territories occupied in 1948. A number of other families are from the occupied West Bank and the blockaded Gaza Strip. Tseil town, northwest of Deraa, provides provisional refuge to some 120 Palestinian families. Meanwhile, Yarmouk refugee camp and al-Tadhamun area were struck with artillery shells on Saturday. The onslaught targeted Haifa, Safouriya, and Loubiya neighborhoods. 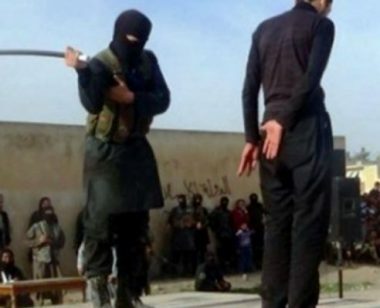 Fighters of ISIS terrorist organization in Syria, occupying large areas on the al-Yarmouk refugee camp, in Damascus, have executed, among others, four Palestinian refugees, and issued orders to its gunmen to execute any person who raises a Palestinian flag. One of the executed refugees has been identified as Mohammad Nassar, while another was from Oleyyan family, and two others from Tayha family. Also, ISIS ordered the execution of any person who raises a Palestinian flag in areas controlled by the terrorist group. This is not the first time that ISIS destroys and removes Palestinian flags and symbols; in 2016, its gunmen removed and destroyed posters of the late Palestinian President Yasser Arafat, and in various cases burnt and stepped on Palestinian flags. In 2015, ISIS fighters managed to invade and occupy large areas of al-Yarmouk Palestinian refugee camp, in collaboration with fighters of Nosra terrorist organization. The action group for Palestinians of Syria revealed that dozens of Palestinian and Syrian families sheltered in Yarmouk Basin, in Deraa’s western outskirts, fled the area for fear of being killed in the simmering hostilities between ISIS militias and the opposition outfits. ISIS-affiliated Khaled Ibn al-Walid brigade held sway over Yarmouk Basin territories, including Tseil, Jileen, Sahem, and Tel al-Jomou’, following clashes rocking the area over the past ten days. Most of those displaced from the area have sought refuge in Yarmouk River while others fled to al-Muzeireeb, Zizoun, and Amouriya. Other families have been stranded in ISIS-led areas. At the same time, a number of Palestinian families have been taking cover at local schools and mosques after they had gone homeless. Over recent months, hundreds of displaced Palestinians have been sheltered in the Syrian-Libyan dairy farm, near Jilin town, having no other place to run to. Palestinians taking refuge in southern Syria have been enduring abject living conditions. The situation has gone downhill due to the sharp decline in relief aids. Located some 25 kilometers way from northwestern Deraa city center, Jileen Camp is home to 500 families, mostly displaced from northern 1948 Occupied Palestine (Green Line), the occupied West Bank, and the blockaded Gaza Strip. Meanwhile, Tseil town, northwest of Deraa, provides provisional housing to some 120 Palestinian families. Tension has been running high in Ein al-Hilweh Camp for Palestinian refugees, in southern Lebanon, as armed clashes left a child dead. According to a Tuesday report by the Lebanese National News Agency, a security mayhem flared up at the early morning hours as handmade grenades and gunshots were fired in the area. Palestinian sources said a child sustained wounds during bloody clashes that rocked Ein al-Hilweh Camp. 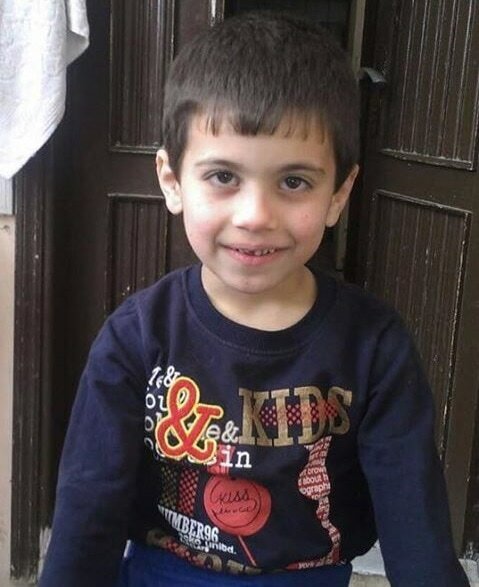 Lebanese sources later proclaimed the child dead. Last week, clashes between Fatah and extremist groups left a number of refugees wounded, just a couple of days after Palestinian Authority president Mahmoud Abbas popped in the Lebanese territories. Lebanese outlets said a proposal put forth by Abbas during his meeting with Lebanese president Michel Aoun called for military intervention by the Lebanese army into Palestinian refugee camps in Lebanon. Lebanese journalist Ali al-Amin said Aoun refused the proposal. He added that the suggestion elucidates the reasons behind the withdrawal of Fatah and the Palestine Liberation Organization (PLO) from the security committee in Ein al-Hilweh and other refugee camps just one week before Abbas’s arrival in Beirut. 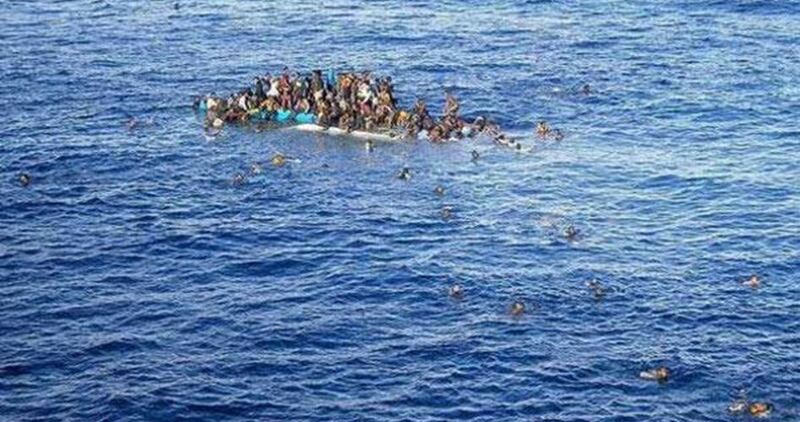 At least 50 Palestinian refugees from Syria drowned at sea as they embarked on a journey fraught with danger to Europe, a Thursday report by the Action Group for the Palestinians of Syria (AGPS) found out. AGPS kept record of the death of 50 Palestinians onboard the “death boats” to Europe, fleeing war-tattered Syria. According to AGPS, most of the casualties were women, children, and elderly refugees. A number of casualties died off the Libyan seashore on way to Italy while others sunk in Marmara waters as they tried to disembark in Greece. The death-journey is often preceded by another life-threatening trip to such points of departure as Turkey, Libya, and Egypt, before setting sail to the new asylum destination. Over 80,000 Palestinian refugees from Syria reached Europe since the outburst of deadly hostilities. 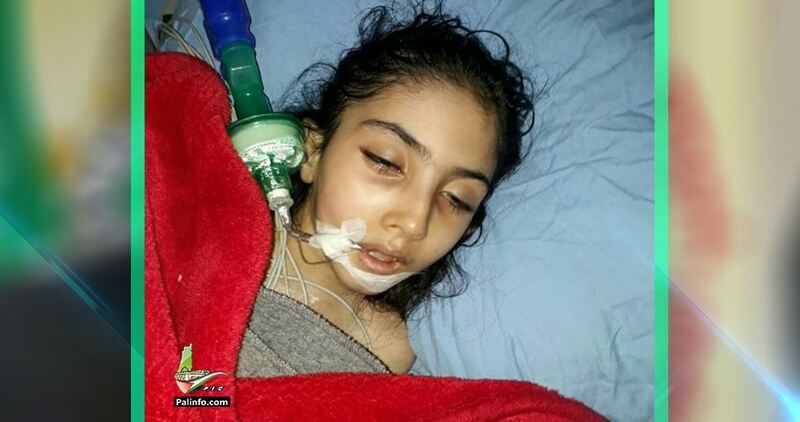 Palestinian child Mona Othman has passed away in Lebanon following a seven-year long medical neglect to be a witness to UNRWA’s neglect of Palestinian refugees in Lebanon’s refugee camps, as she was unable to have access to the needed medication. The death of Mona left a big hole in the heart of her family, who watched her helplessly fading away and was not able to give her a helping hand. Palestinian refugee Farid Othman could not hide his pain nor could he hold back his tears as he held the body of his child Mona, 11, with his two hands, as she was laying on her death bed following a seven-year long suffering which also has revealed UNRWA’s neglect of Palestinian refugees in Lebanon. The wounded father relayed to the PIC the beginning of his daughter’s illness. At the age of four, Mona looked like a rose surrounded by her siblings, filling her family’s house with cheerfulness and joyfulness, despite the miserable life refugees lead in Nahr el-Barid refugee camp in Lebanon, until she suffered from high fever and temperature, which marked the beginning of a journey of suffering. The father drowned in silence before he revealed his memories of pain, which lasted for seven years, noting that at the beginning he took his daughter to a nearby hospital until her health condition became stable, following three days of medication. Despite spending a long period of time at the hospital, her situation remained the same, despite all the painkillers she took, doctors conducted further examinations on her to find out that she is suffering from Tuberculosis (TB) and Hydrocephalus (water on her brain). With the intervention of some doctors, she was moved to another hospital, but doctors at the new hospital said they can’t do the surgery for her,” according to her father. UNRWA has reduced services provided to the Palestinian refugees in Lebanon including health services, despite the large protests organized by Palestinian refugees in Lebanon against this decision.